$80 for 4 days. Only $3/day after. Shoot. Then point. Overcapture. VR. 360. It’s all this and more. Waterproof to 16 feet and rugged. Rental includes 2 64GB MicroSD cards, fusion grip, 2x batteries, basic mount accessories, and more. Our GoPro Fusion rental package includes a number of accessories – and mounts are just $1 each! Grant your audiences new perspectives of your adventures with the GoPro Fusion Rental. Using two slightly offset cameras, the Fusion can capture everything that happens around it in 5.2K resolution up to 30 fps. If you’re producing content for viewing in VR headsets, 3K resolution at a smooth 60 fps may be more appealing. 18MP photos can also be captured in both raw and JPEG formats for editing flexibility and easy sharing, respectively. The Fusion’s capture resolution may be high, but sharing your videos and photos is not a chore. 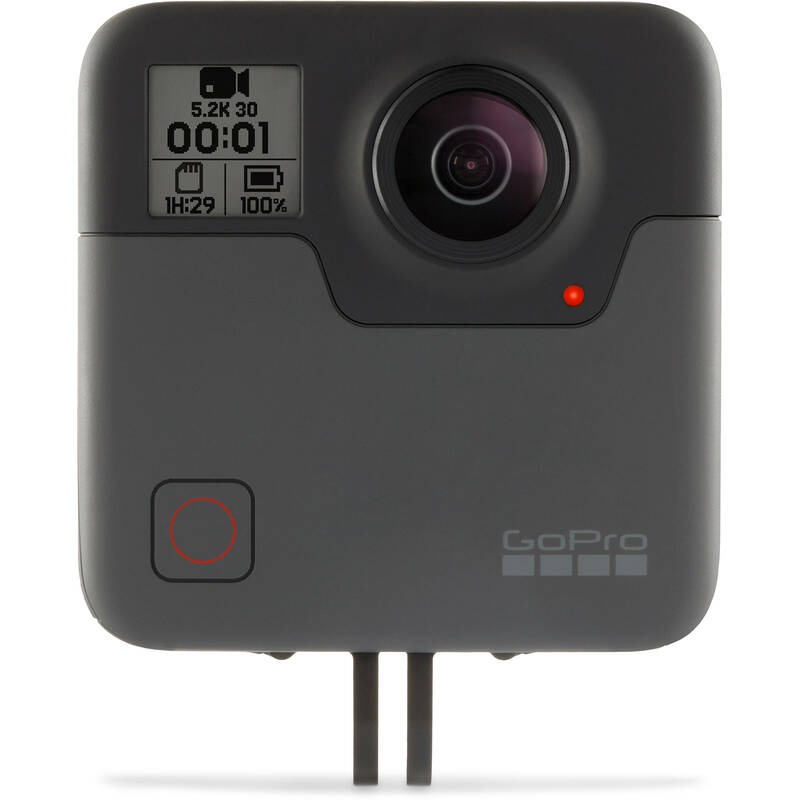 With the GoPro app, you can play back and share your content right after capture. With OverCapture, you can extract a moveable 1080p or 720p chunk out of your existing 360 video and create a standard HD video, as if you had a virtual tripod and zoom lens with a camera operator. To complement the Fusion’s spherical video, spherical audio is also recorded. Using multiple microphones to capture 4-channel audio, the Fusion can record sounds from all directions. Playback of the surround sound offers an immersive sonic experience to go with the spherical video.